Coming off a relatively strong showing for predictions in 2017, we’re going in hot for Condo Association predictions for 2018! This year we’ve got something new, something old, and something sinking. Will they come true? We have no idea, but predictions are always fun! Note – there are affiliate links on this website to Amazon as examples of products. Better Condo Life does not endorse these products; they are provided only as examples. If you were to click and buy, we would receive a small commission. Is this the future of real estate shopping? The first of the Condo Association predictions for 2018 focuses on the use of alternate and virtual reality. In case you’ve been living in a cave for the past year, these are technologies viewed through either a headset or smartphone which simulate reality. 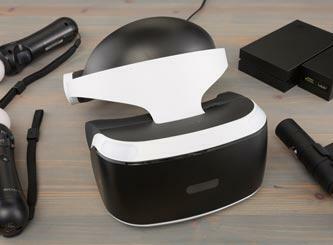 Virtual reality can be viewed through a headset (like the Oculus Rift, HTC Vive, or Samsung Gear), whereas augmented reality is viewed through something like the Microsoft Hololens or even a smartphone (think Pokemon Go). These technologies are already being used in real estate. Virtual reality can allow you to virtually tour a property. Augmented reality can help you place furniture, like with the Ikea app. Expect these technologies to be commonplace in home shopping by the end of 2018. However, Condo Associations likely will not be offering virtual amenity tours as the norm for several years – but they will catch up eventually. We failed this prediction in 2017, but let’s give it another go in 2018. Short-term rentals will continue to gain momentum, and more and more states and cities will introduce legislation which close out the issue one way or another. This already began in 2017 with states like Michigan and Florida, but expect it to continue. However, do not expect federal legislation that is successful in 2018. You may see some legislation introduced, but we do not expect any major action. Will the sinking finally stop? The final of the Condo Association Predictions for 2018 is related to our favorite Condo building. 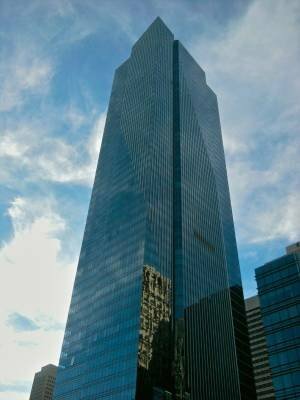 The Millennium Tower in San Francisco has been a topic this blog has covered repeatedly throughout the year. Representing the ultimate in construction defects, this sinking glass beauty has been the subject of numerous articles over the past year. We predict that the Association will settle with the many parties involved as they work towards a solution to the sinking problem. Will we get our Condo Association Predictions for 2018 Right? Who knows! But predictions are always great fun. No matter what happens on these issues, you won’t go wrong with sticking to the fundamentals. Whether you’re an Owner, Board member or Manager – make sure you’re always working towards a better community – and if you are, we predict you’ll have a better Condo life in 2018.